You can also download this document and print it out. Click here to download the charter as a PDF. 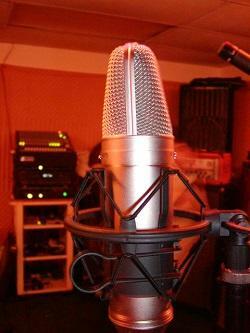 A voiceover can be used only for the purpose that was agreed upon with the voice talent. For example, if you ordered a voiceover for a promotional video, then you may not use it for a TV commercial or any other media. If you want to use the purchased voiceover for a purpose other than what was agreed upon, you must inform the voice talent and ask what additional payment is required. If credit is given to the actor, editor, composer, producer, etc., credit should be given to the voice talent, as well. Before the recording, you must provide the voice talent with the correct pronunciations of company names, people's names, product names, and any technical terms that are specific to your product or technology. In some languages, there is more than one correct pronunciation of a word. For example, in American English, the words "strength", "palm", "clock", and many more words have multiple correct pronunciations, because there are multiple dialects in the US. If you have a preference as to how a word should be pronounced, you must inform the voice talent before the recording. Changes after the recording will incur an additional fee. The voice talent should be provided with the final product for their portfolio, unless they signed an NDA. Some voice talents work on a per-studio hour basis, some work on a per-session basis, and some work at a global rate per project. A studio hour is any amount of time up to one hour, during which a single project is recorded. A session is any amount of time up to three hours, during which a single project is recorded. A session or studio hour starts at the time scheduled with the voice talent and studio, and the voice talent must be paid starting from that time. Therefore, if you choose to be present at a recording, it is recommended to arrive on time. If you choose only to send the script, it is recommended to send the script on time. If you choose to be present at a recording, the session ends when you dismiss the voice talent. Therefore, if you want the voice talent to wait while you send the finished recording to your colleagues for approval, you must pay the voice talent for that time. If you know that the voice talent has a home studio, but you were introduced to and started working with the voice talent via a third-party studio, you must continue working with the voice talent via the third-party studio, not via their home studio. If you know that the voice talent has a home studio, do not ask the voice talent to record additions or changes to a recording at their home studio for free. If you need to cancel a voiceover, notify the voice talent 24 hours in advance. Send the voice talent the final script. If you will not be present during the recording (whether in person, via Skype, via telephone, or any other method the voice talent is able to provide), request a custom demo so that you can approve the tone and pace before the voice talent records the script in full. Once the voice talent has sent you the recording, they have completed the work for the agreed upon price. Recuts (re-recording) of the script in part or in full due to mistakes made by the voice talent are free of charge. Recuts (re-recording) of the script in part or in full due to changes in the script, instructions, or intonation (for example, if you requested a formal tone and slow pace, but then decided you prefer a conversational tone and fast pace) will cost an additional fee. If you have a "guide" or reference video prepared (a video with your own voiceover or subtitles), or simply the video with no additional information added, send it to the voice talent along with exact instructions as to what is required. You can ask the voice talent's opinion on your script and assistance with small tweaks. However, do not expect the voice talent to edit, rewrite, or translate an entire script for free, even if you are asking them to do so during a voiceover session, and you know that there is enough time to complete both the requested work and the recording within three hours. Voiceover and editing/translation are different and separate services. If you require editing or translation, you must order and pay for it separately. It is recommended to provide the voice talent with a script that is written correctly - with proper grammar, punctuation, and capital letters only where grammatically required - so that the voice talent will understand the script and read it correctly. When a script does not meet these criteria, a lot of time may be wasted in the studio, to the point where the scheduled amount of time is exceeded, thereby costing you extra. In order to ensure that voiceover remains a prestigious profession, voice talents should act ethically. Do not cancel a session at one studio simply because you were hired for a more lucrative job at a another studio. Your clients are counting on you. If you arrived at a session late, charge the client only from the time you arrived. Do not accept a project, if you know that you will not be able to provide a quality product. For example, if you are sick and hoarse, do not agree to a long recording session the next day. It is your responsibility to pronounce words correctly and precisely. If you have any doubts regarding the correct pronunciation of a regular word, look it up in the dictionary. If there is more than one correct pronunciation, choose the first pronunciation (the most common one). Consult with the client regarding the correct pronunciation of company names, people's names, product names, and any technical term you are not sure how to pronounce. In some languages, there is more than one correct pronunciation of a word. For example, in American English, the words "strength", "palm", "clock", and many more words have multiple correct pronunciations, because there are multiple dialects in the US. In such cases, it is recommended to ask the client which pronunciation they prefer; however, this is not mandatory. Do not "steal" a studio or agent's clients. Do not suggest to the client that they can work with you at a different studio or directly with you via your home studio. You met the client due to the studio/agent, and as a result of the studio/agent investing time, money and effort, and you may not exclude the studio/agent from future business with the client. You must post at least one demo that was recorded at your home studio without any background music, so that clients can assess the quality of audio produced by your home studio. You must also indicate that the demo was recorded at your home studio. Per studio hour - The price of one hour, in whole or in part, that the voice talent spends in the studio, starting from when the recording was scheduled. During the hour, the voice talent records a single project only, not multiple projects. Per session - The price of three hours, in whole or in part, that the voice talent spends in the studio, starting from when the recording was scheduled. During the session, the voice talent records a single project only, not multiple projects. Per project - A global price determined by the voice talent. Per word - The price per word in the script that is to be recorded. Per finished minute - The price per minute of edited, clean, and ready-to-use audio. These pricing methods usually include a minimum fee. If after the voice talent has completed the recording, a recut (re-recording) of the script in part or in full is necessitated by changes to the script, instructions, or intonation (for example, if you requested a formal tone and slow pace, but then decided you prefer a conversational tone and fast pace), there will be an additional fee. It is recommended to charge a 5% additional fee for net+30 payments, and a 10% additional fee for net+60 payments. If a session is cancelled less than 24 hours in advance, the voice talent may charge a cancellation fee. The recommended amount is 50%.